Instead of using hot oil, like with traditional deep frying, air fryers employ rapid air circulation to “fry” food without oil, butter, or any other type of fat, according to Catherine-Gail Reinhard, VP of product strategy and marketing at StoreBound, the company that owns Dash, an air fryer manufacturer. “An air fryer is similar to a convection oven in the principles that it uses to cook,” Reinhard explains. “Hot air circulates around the food and creates a crispy layer on the outside of the food." 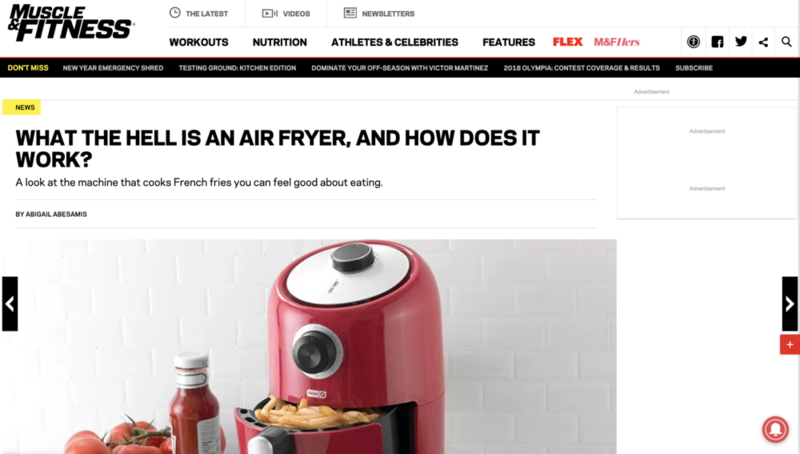 Jonathan Valdez, a registered dietitian and owner of Genki Nutrition, notes that compared to deep-frying, air fryers are considered to be the healthier option. "This is due to the fact that deep-frying submerges foods in hot oil," he says. "Regular consumption of fried foods has been associated with increased risk of heart disease and type 2 diabetes." Valdez lists roasted vegetables, chicken, French fries, and homemade potato chips as some of his favorite things to cook in air fryers. “Since air fryers cook with dry heat, you can also use an air fryer to bake and roast,” adds Reinhard. Dash’s air fryers range in price from $59.99 to $129.99, with prices increasing with the size of the model and added features. Competitors like Ninja are comparable in price ($129.99), while Philips sells its air fryers for $300 or more. “Some air fryers even include accessories like baking pans and special racks so that you can prepare cakes and kebabs,” says Reinhard.